These are the official Pepi Nana and Moon Baby licensed characters, Pepi Nana and Moon Baby. Pepi Nana is the favourite doll of the child we see putting her to bed in the Toy House at the beginning of every Moon and Me episode. Pepi Nana is a very magical toy – at night, when the Moon shines, she comes to life. Pepi Nana begins every episode by sitting down at her desk and writing a magical letter to the Moon. Moon Baby lives on the Moon. Happy and affectionate, he expresses himself by clapping his hands and blowing kisses. At the beginning of every episode of Moon and Me, Moon Baby receives a letter from Pepi Nana, inviting him for tea and a story. He excitedly puts on his yellow gloves, pulls up his hood, and flies down from the Moon to visit the Toy House. Moon Baby keeps a magical kalimba in his pocket. By playing different magical tunes on it, he can call on the Moon to make magical things happen. Moon and Me is from Andy Davenport, the creator of Teletubbies and In the Night Garden. Inspired by well-loved tales of toys that come to life when nobody is looking, Moon and Me is the comical story of a special friendship between two characters from completely different worlds. Moon and Me combines the latest production methods with traditional storytelling, comedy and music to create a beautifully constructed picture-book world especially for today’s pre-schoolers. 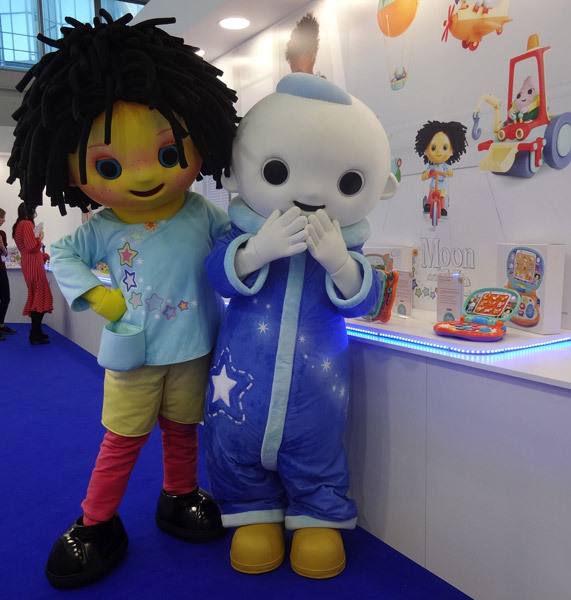 Moon and Me began airing on CBeebies in February 2019. 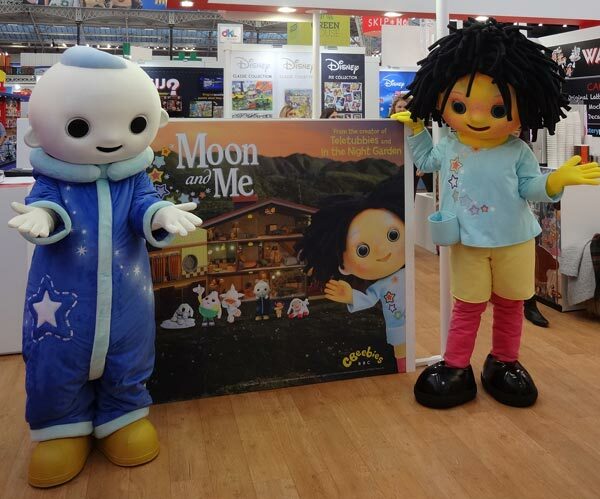 Mascot costumes Pepi Nana and Moon Baby from Moon and Me are available to attend UK events.